We all have gone on Google searching for home remedies for acne and how to clear acne when we get fed up of trying various products claiming to solve your acne Vulgaris. But one thing we need to know is that if you suffer from acne continuously you might need something bigger than just a homemade solution. You might keep asking yourself how to get clear skin without spending too much too. I say it’s possible but again that too not if you’re a continuous sufferer. If you are so I highly recommend visiting your dermatologist and sticking to your treatment for at least 3 to 4 months before you see the slightest of changes. Spot treatment methods are available too using something like the much raved tea tree oil. 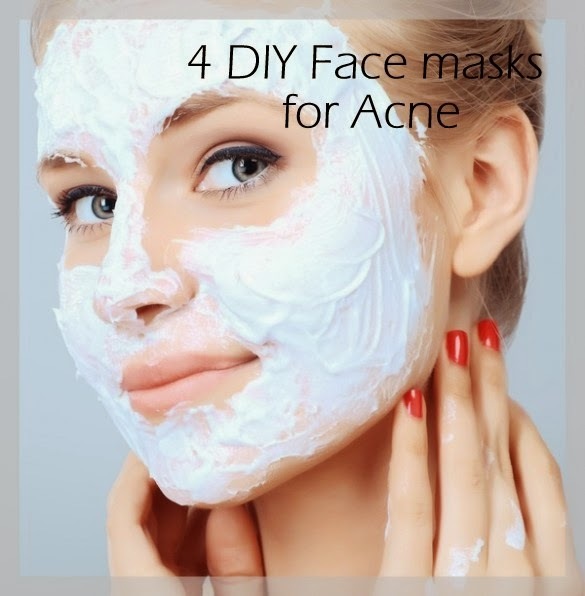 Today I’m mentioning 4 homemade face packs for acne prone skin (But not for those with severe acne). What you need is a tsp of lemon juice, an egg white, and 1.5 tsp of honey and ½ cup of strawberries. To prepare the mixture, mash the strawberries and mix in with the rest of the mixture and spread it over your face and let it sit for about 15 minutes and wash off with warm water. I have used this and found results too. For this you need natural sea salt and purified warm water. Let the salt sit in the water until it dissolves then put it into a spray bottle and use it as toner after washing your face. Use this only at night to see faster results. This is good for those with mild acne since it does dry out your face a tad bit. Mix in 2 tbsps of baking soda with the required amount of warm water so that it forms a paste. Spread this on the affected area and leave it for about 10 minutes then wash if off with warm water. Mix in equal parts of manuka honey with jojoba oil and spread it over the affected areas and let it sit for about half an hour. Rinse it off with warm water. Manuka honey is also great for post acne marks or scars. I love baking soda! It works great! Nice post. I'm also suffered this problem during a long time,i think this is happened due to the reason of Dirty skin, eating chocolates, greasy food and hormonal changes are a few common reasons which are inculpated for it. Thanks for this post that share a informative content or also tells that what we have to do that overcome to this problem..Thanks..!! I believe to get rid of acne for good, you have to regularly take care of your skin. Many home remedies for acne can help to clear up skin, but they do take time, and there are many at home acne treatments that can produce the same effects as professional products does for different skin infections.